Date: Feb 22 2019, 5 p.m. - 7 p.m. 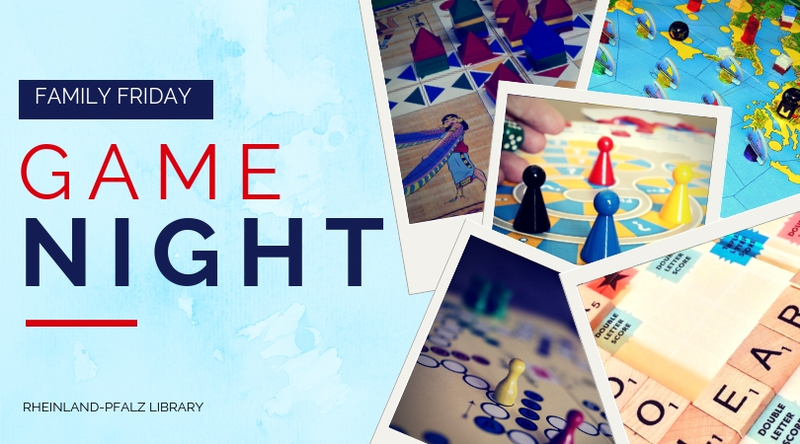 The Rheinland-Pfalz Library invites you and your family to Game Night! Every fourth Friday of the month is reserved for board games at the library. Learn new games, connect with new friends, and make new memories!